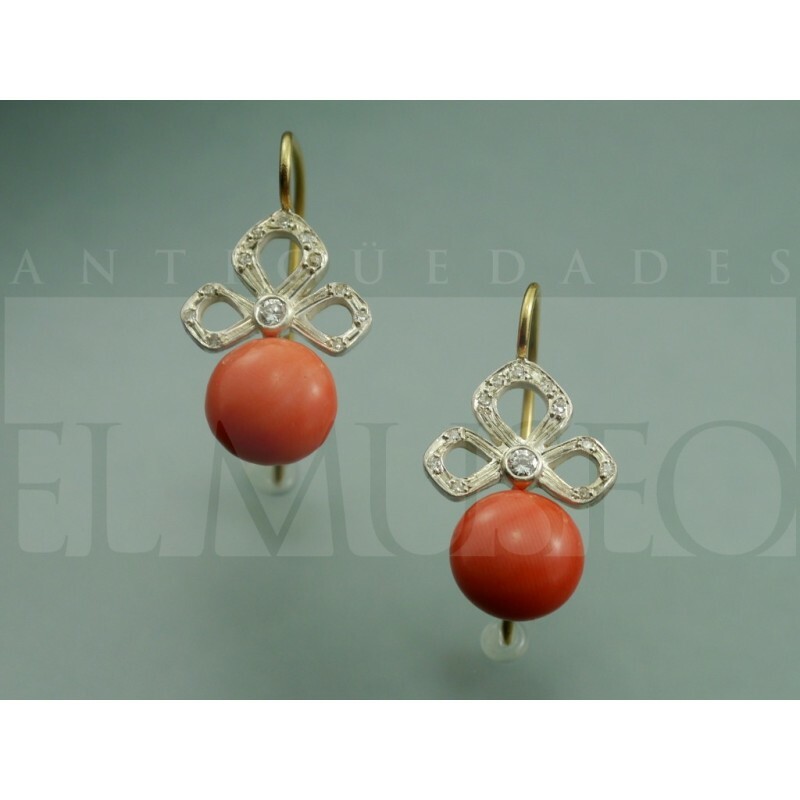 Pretty elizabethan style earrings made in coral and diamonds. 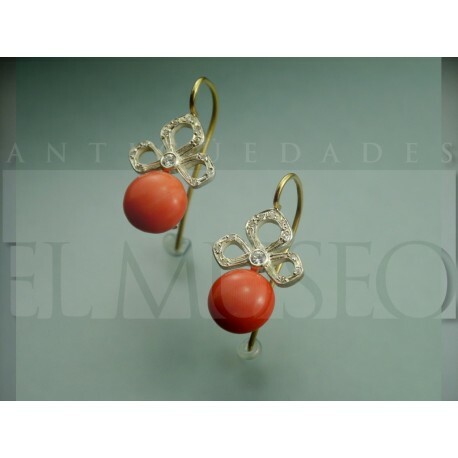 Pretty elizabethan style earrings made in coral and brilliant-cut diamonds. Pretty elizabethan style earrings with Mediterranean round cabochon coral and brilliant-cut diamonds. Materials: 18k gold, silver, brilliant-cut diamonds and Mediterranean coral.